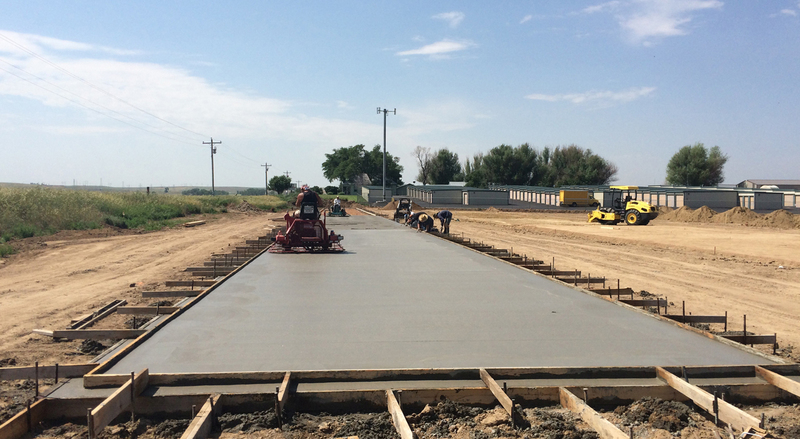 Whether your building project is commercial, industrial, civic, or educational, high-quality and durable concrete work is essential to its success. And you demand both the exceptional workmanship and the keen attention to planning, costs, details, and inspections needed for any commercial building project. Foundation Builders will give you peace of mind, knowing the concrete foundation and flatwork side of your project is completely under control. 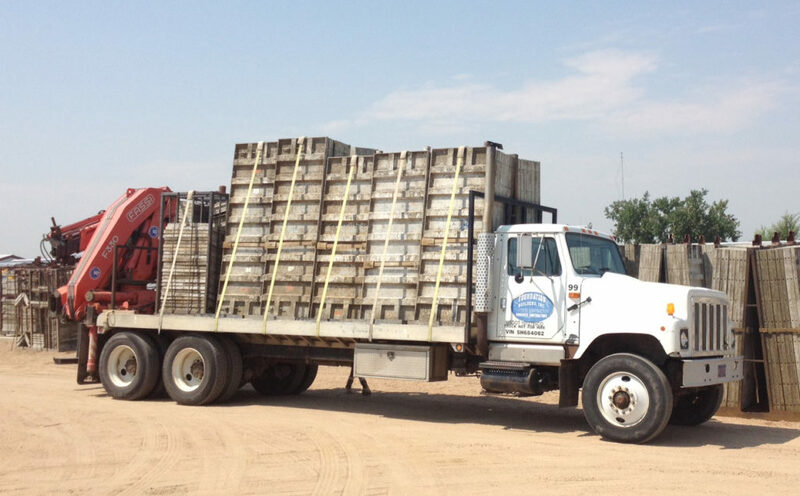 Our years of experience, well-trained and dedicated crews, and spotless safety record will guarantee it. 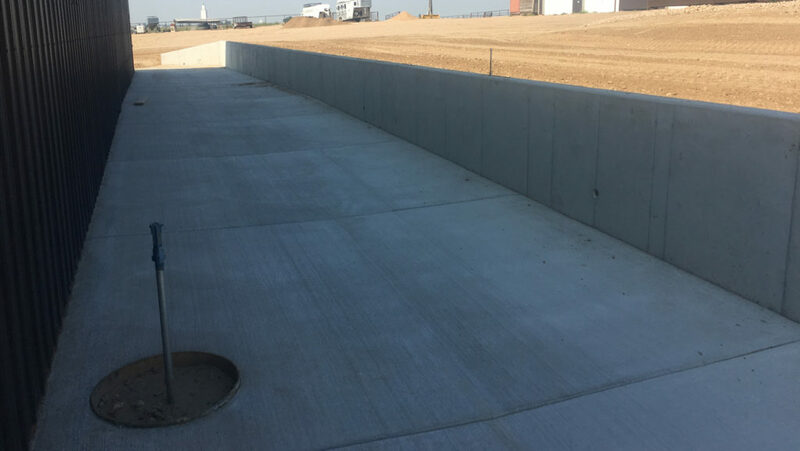 Our commercial concrete work includes load-bearing concrete pads, industrial floors, simple to complex foundations, caissons and piers, other large concrete bases, stamped concrete, and even concrete bunkers. The variety of foundation requirements for non-residential buildings is endless. Founded in 1972, Foundation Builders is the contractor you can trust to get the job done, on time and on budget, regardless of the complexity or uniqueness of your project. Our priority is to work with you, through each and every step, to ensure that you know the what’s, when’s, and where’s of the project. And most importantly, that you are happy with the work, from beginning to end. Working with a great variety of materials, including traditional concrete, stained concrete, stamped concrete, and exposed aggregate concrete, our flatwork crew can turn any architect’s vision into reality. 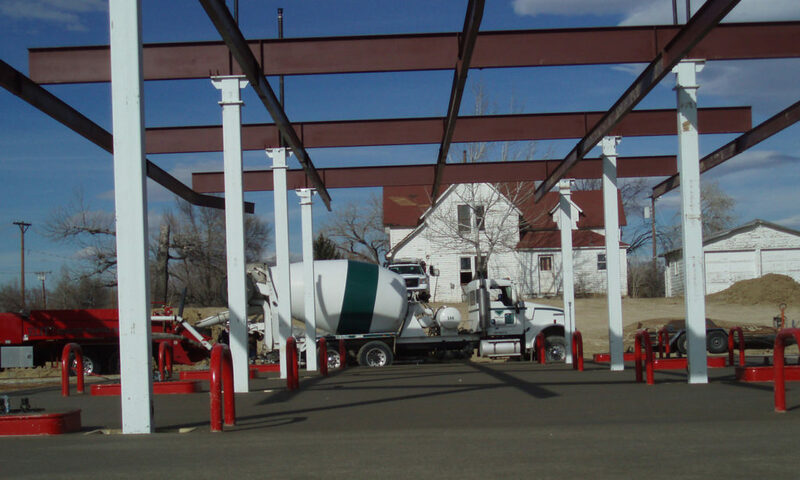 They expertly handle the installation of large concrete floors, load-bearing concrete pads, and parking areas for retail and commercial sites. Additionally, decorative concrete, popular for residential applications, can also be applied to the right retail, commercial, or public projects. Tell us your needs and get started today in planning and implementing your next commercial concrete project.